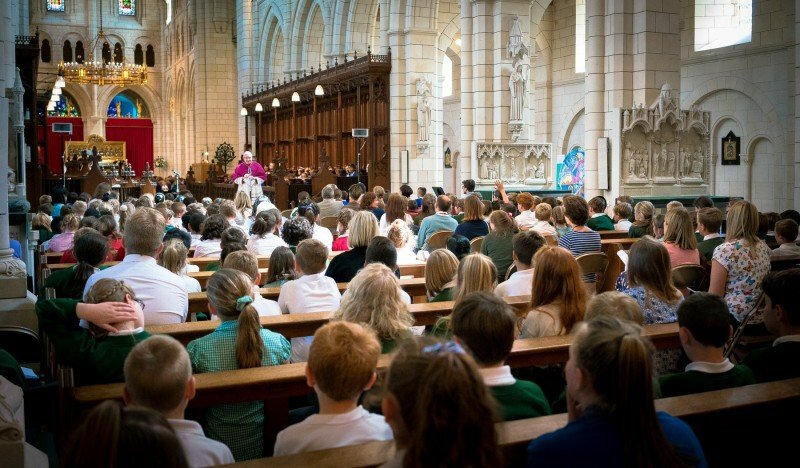 350 pupils from all of the Plymouth CAST Central Area schools visited Buckfast Abbey to celebrate the feast day of St Peter and St Paul. 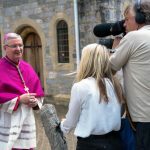 The liturgy was attended by Abbot David Charlesworth and the Rt. 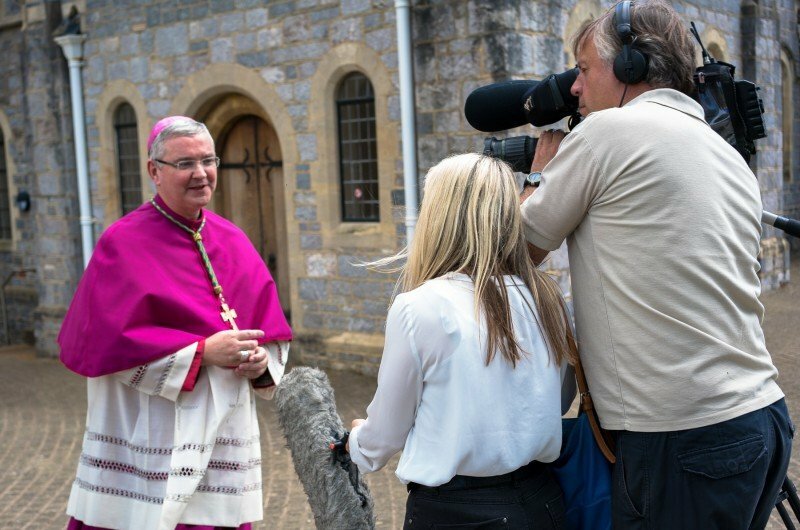 Rev.Mark O’Toole, Bishop of Plymouth. 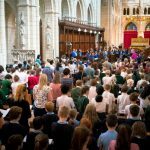 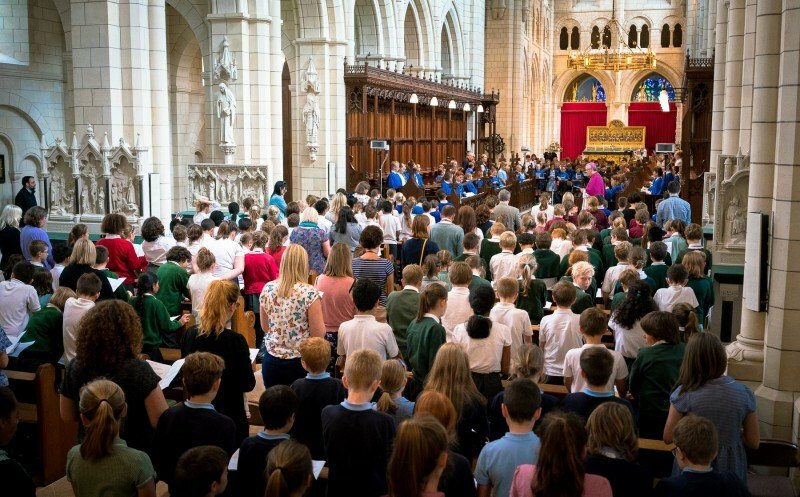 The liturgy consisted of a cantata, written especially for the occasion by Philip Arkwright, musical director at Buckfast Abbey and organised by St Mary’s School. 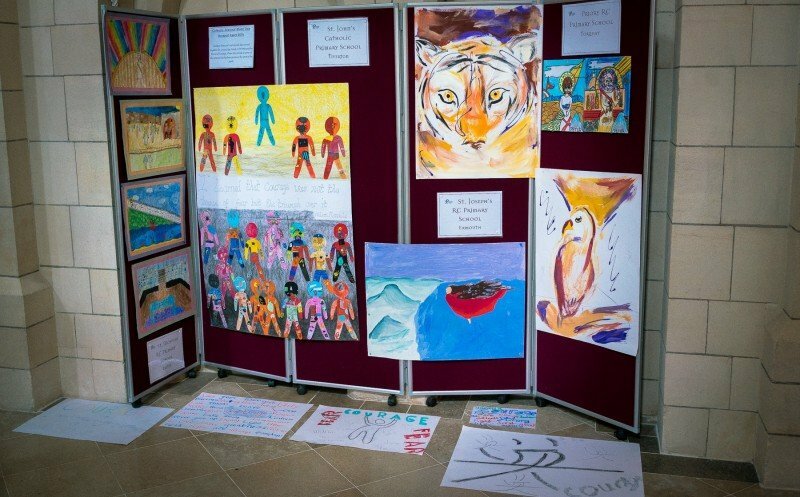 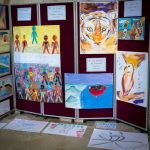 Children had the opportunity to practice the music beforehand and prepared artwork on the theme of courage, which was displayed around the Abbey church during the day. 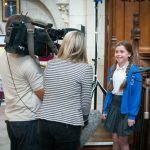 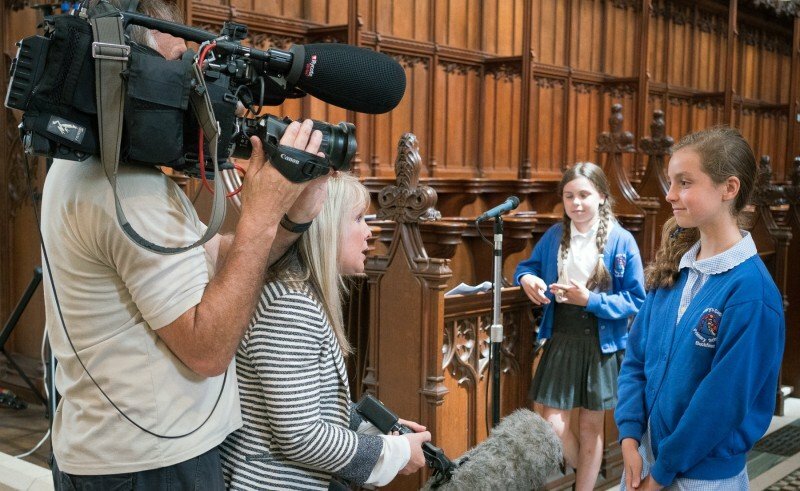 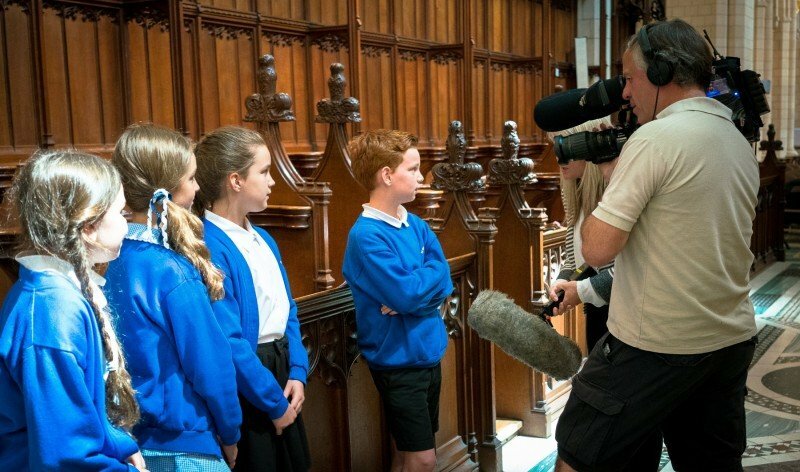 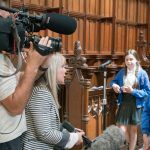 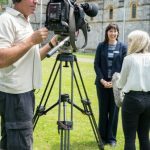 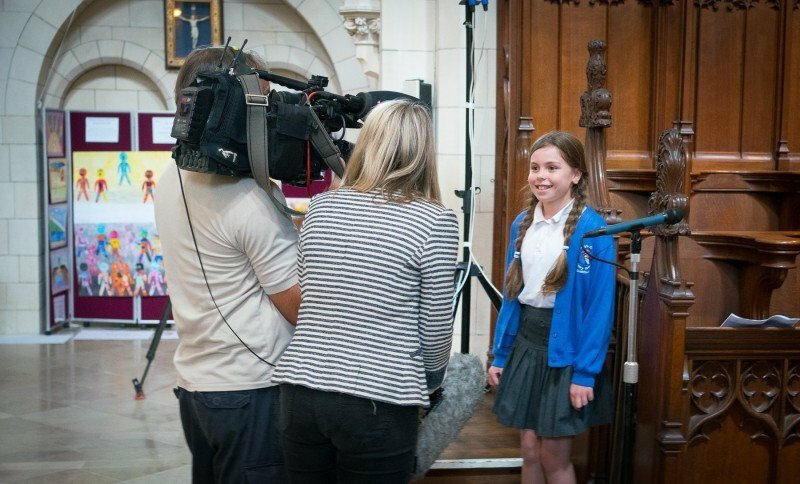 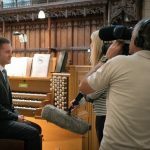 Pupils from St Mary’s read during the liturgy and even had the chance to speak to the local news team from BBC Spotlight. 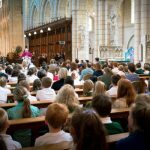 Selected pupils from each school took part in a liturgical dance, which they learnt during the day and each school read a prayer to conclude the service. 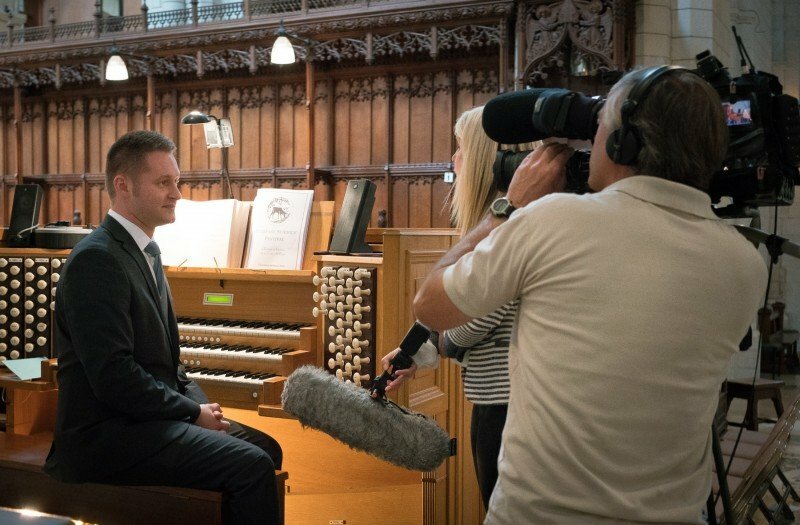 Click on the link below to watch the clip from BBC Spotlight.